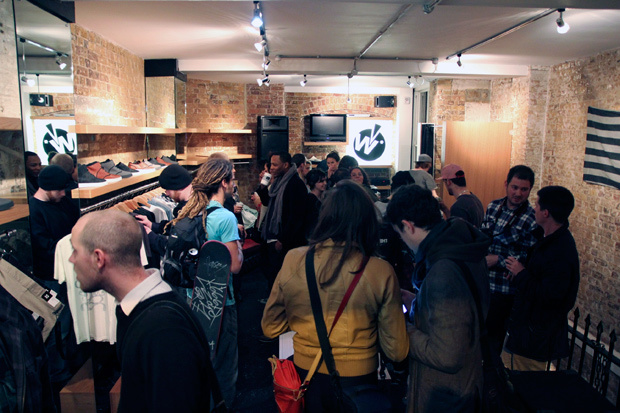 Last week the good folks over at Wholesome London opened their doors for an evening event to celebrate the launch of KR3W’s first ever footwear line, in attendance where the KR3W skate team as well as a a mass of local skateboarders, sneaker heads and all round party people. 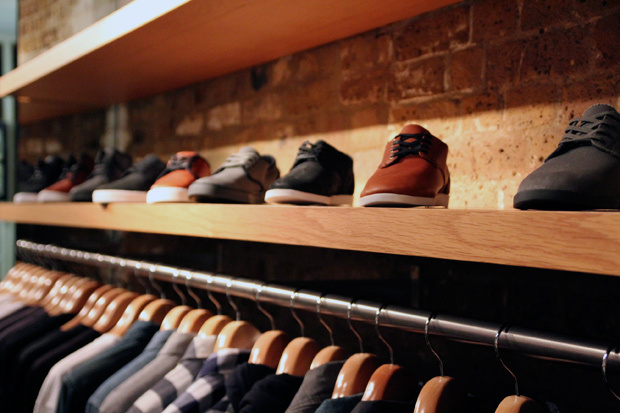 The wholesome store is the perfect setting for a launch of this kind, it was almost as if the KR3W collections where designed around the store as they fitted in extremely well with Wholesome settings. 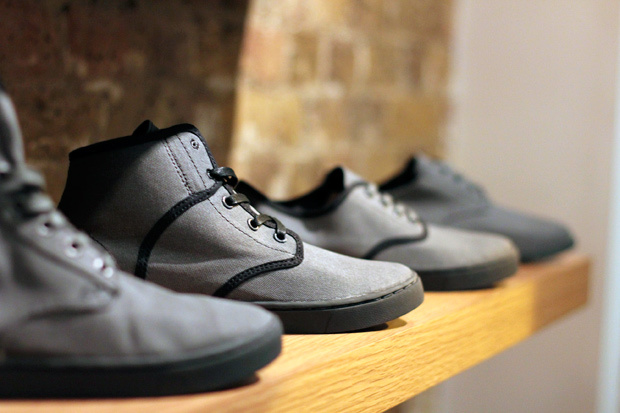 KR3W have been doing pretty good in terms of the apparel that they have been producing over the last few years so it seems only a natural progression for the brand to branch out into footwear. 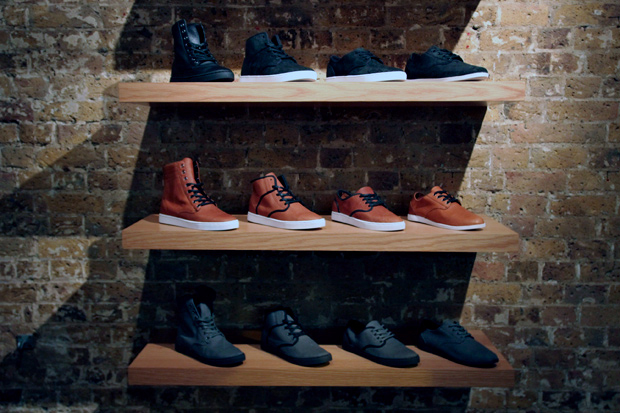 The footwear collection mixes a number of different elements, four styles that span the low, mid to high top sneaker silhouettes placing focus upon style and a fashion forward approach to skateboard footwear. 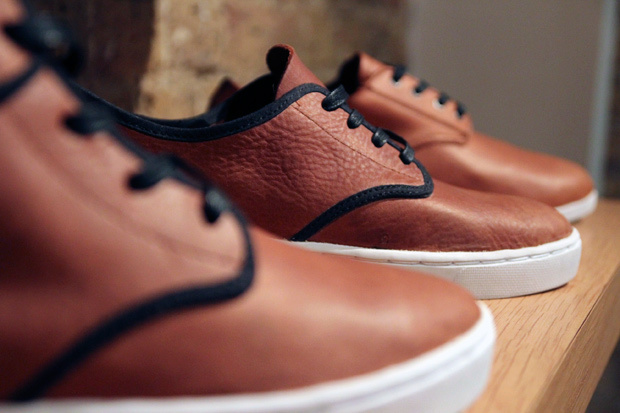 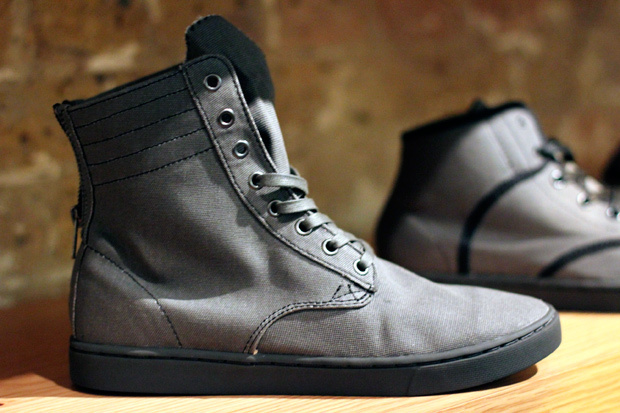 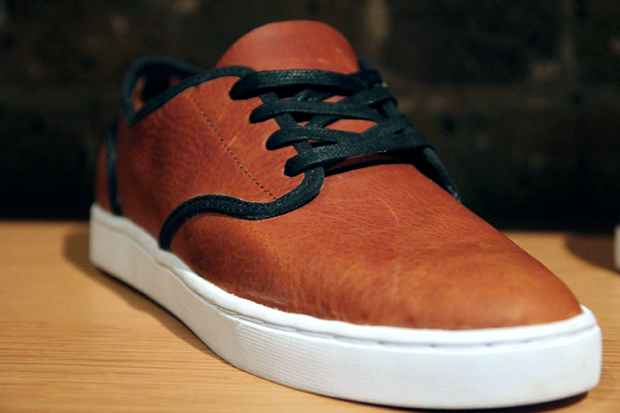 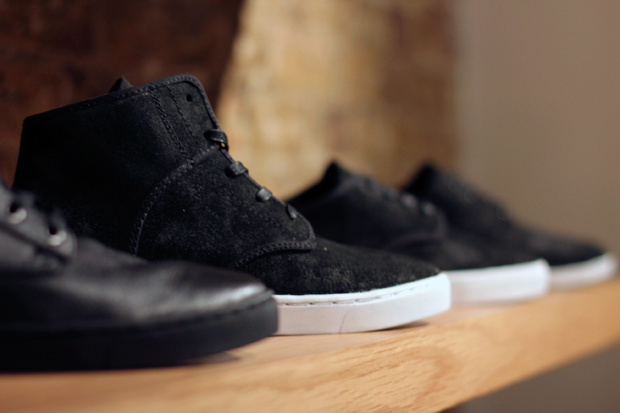 Leather, canvas and suedes are used over the collection giving options for skating, chilling or adding an extra bit of ‘smart’ to your get up if you wish. 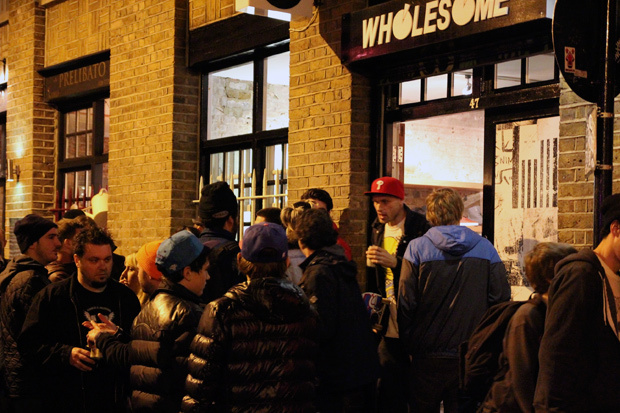 The store was soon filled and the celebrations spilled out into the streets, and in usual Wholesome style a road block street party commenced. 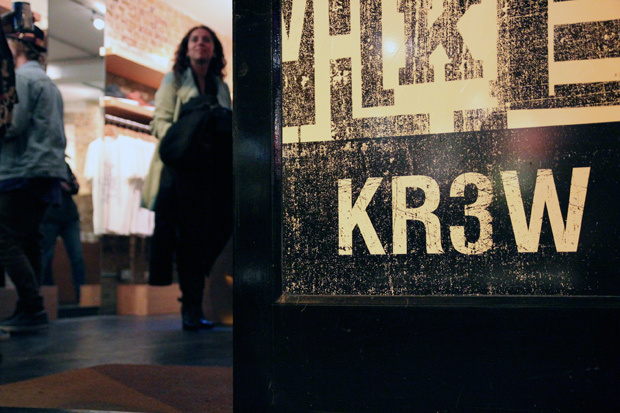 It was a good sight to see so many people enjoying the free drinks and having a good time, and all in the name of such as quality brand such as KR3W and an equally quality store as Wholesome. 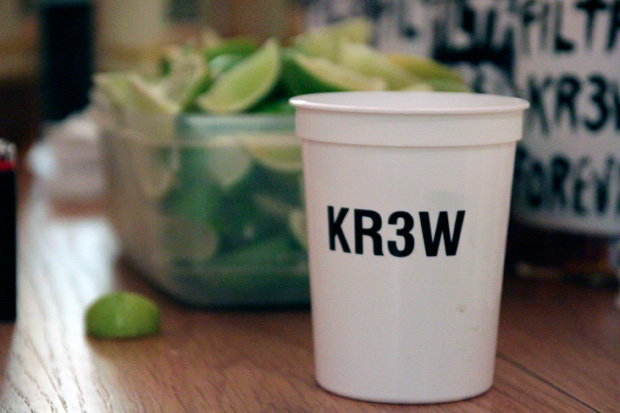 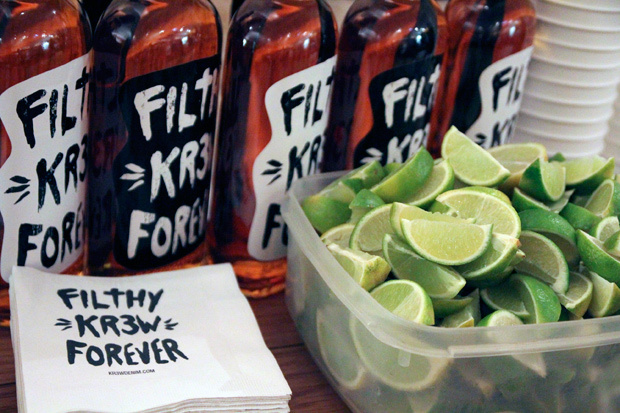 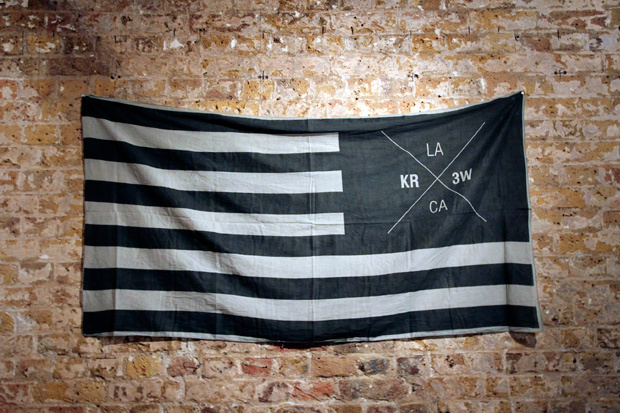 Massive thanks to both KR3W and Wholesome for putting on the evening we hope to have Kr3w back in London real soon.